Hi everybody! So, I was thinking that I wanted to consolidate all of my shared items from Google Reader into a weekly digest. I'm still fine tuning my script (apparently it has some trouble converting Unicode to ASCII, but I think I just need to add a try block somewhere to catch the issue, and ignore the character... so, maybe it will be a super easy fix, and maybe it won't... anyway, enjoy this list of everything I've shared this past week. Flowchart of the Day: “How To Pass Throught a Door” by Isadora Dantas. Talking to a friend, we arrived to a conclusion that people here in NY are not very good in holding the door for others, and in case we do hold for them, sometimes they may pass through it without even saying “Thank You”. Although it’s a very simple process, it may not be clear to everyone, so I created a graphic to illustrate it, and started by pasting it on the entrances of my school. If you feel the same and want to print one for you, you might download it here. The easy title for this would be, simply, “how to root your Android phone.” But I’m not going to go over specific root instructions. For starters, each handset is going to have a different set of instructions. Also, plenty can go wrong in the process. I’ll try to lead you down the right path, though, so that you can get the best possible instructions for rooting. But first, there are a couple of things you have to understand. Basically, there are two types of root. The first involves unlocking your bootloader and then running a superboot. Honestly, I don’t quite understand the technical side of the process myself. Not that it’s necessary. You just need to be able to hook up your Android to a Mac or PC, download certain files, and run certain processes in the Terminal utility. For instance, when I unlocked the bootloader on my Nexus One, I followed these instructions. Again, this isn’t going to be the same for everyone, so you’re going to need to do a little googling. Just search for “unlock bootloader [your phone model]“. You could, alternatively, just search for “root [your phone model]“. After you unlock the bootloader, you’ll then need to gain root access. For the Nexus One, this involved running superboot. I just found my version of Froyo and downloaded the appropriate file. Again, this might not be the same for your device. In order to find the correct steps, you’ll have to google a bit and find the proper process. I do wish that we could go over one generic process, but it rarely works that way. Another way to root is something called one-click. This is often preferred, because it does not void the warranty. The downside is that I’ve seen many friends have their root reverted by a software update. That won’t happen when you unlock the bootloader. Still, this gives you all the benefits of root while keeping your warranty in tact. I recommend checking this xda developers thread for a comprehensive walk-through (plus 101 pages of forum back-and-forth that should help answer some questions). ROM Manager. So you can install your neat new ROMs. Also, make sure to install Clockwork recovery from there. Titanium Backup. Things can go wrong with a rooted phone. Make sure you’re backed up. There are surely many questions to be asked about rooting. It’s not an easy process, considering all the obstacles manufacturers have put in the way. A little googling goes a long way in this instance. That’s how I figured out how to root my Nexus One. But your rooting process might be a little different. So start with “root my [phone model]” and work from there. Read the process and google terms you don’t understand. Soon enough you’ll put it all together. I’ve got faith. This post originated at AndGeeks.com - home to all things Android! Also a great source of info about Android Phones. 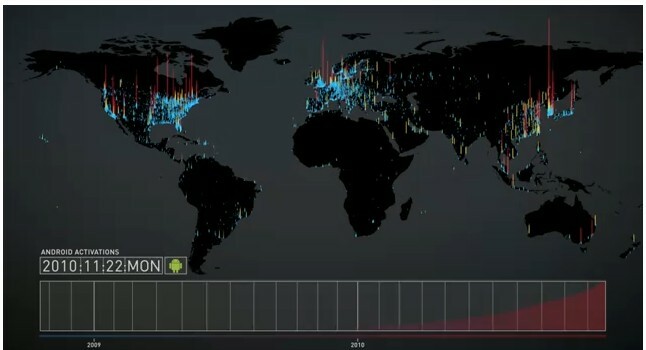 The official Android Developers channel on YouTube has posted a beautiful vizualization of Android activations around the world starting in October, 2008, and progressing through January 2011. Quite impressive to watch--especially the huge jump in activity when the Droid launched. The video has no sound, so don't bother checking to see if you have mute on like I did. I'd recommend cuing up some dramatic music before you hit play to enhance the experience. Follow Up of the Day: Despite releasing a statement earlier this week saying they would not go after the vehemently bigoted Westboro Baptist Church, it appears Anonymous has decided that the WBC’s continued heckling warranted a warning, and infiltrated their website this morning (during a live radio interview on the The David Pakman Show between Westboro spokeswoman Shirley Phelps-Roper and an Anonymous member, no less) to post this message on its homepage. The site has since been brought down, but the delightful defacement has been preserved. Over the last few days we’ve gone over what it means to root your Android and some pros and cons of rooting. Today we’ll continue keeping it simple by discussing what you can do once you root your device. By now you know what it means when someone says they’ve rooted their Android, and you’ve seen some pros and cons to doing it yourself. That’s all fine and good, but we’ve left alone the topic of what you can actually do with your device once you root. Obviously there are a number of benefits, and we kind of hinted at them in the pros and cons list. But today we’ll have a few more items. As with yesterday, participation will make this list more robust. On yesterday’s article, commenter jaamgans brought up perhaps the greatest thing you can do with a rooted Android: install an OS more up-to-date than is officially available for your handset. He uses a great example. The G1 — the original Android handset — was officially stuck on Android 1.6. No matter how bad you wanted 2.1, it was out of the question. Google/T-Mobile/HTC wouldn’t deliver you the update. But with a rooted handset you could have installed Cyanogenmod, which is a custom ROM*, that would have basically given you Android 2.1. Custom ROMs are easily the biggest advantage of rooting your device. * A ROM is basically a modified version of the Android operating system. It replaces whatever version you have and provides various features. Some of them focus on making the device run smoother, while others bring new features — even features available in future Android builds, but not currently available. This is particularly notable when it comes to 2.2 updates. The majority of Android handsets do have Android 2.2, but there are still some that lag behind. If there is a version of Cyanogenmod for your handset, you can root and then flash that ROM, which will give you 2.2 capabilities. This includes features such as WiFi tethering and hotspot, and partially moving apps to the SD card. A year ago, before 2.2 was widespread, these were major reasons that people rooted. Unfortunately, given how many handsets are stuck on 2.1, it still is. Cyanogenmod is also now releasing 2.3 builds, which is also awesome. I’m running that right now. What I found surprising is that you can improve your Android’s signal strength. Intuitively, this sounds like a hardware issue, but there are definitely software fixes that can provide you with better coverage. You can flash — i.e., install — a new radio on your device and experience a stronger signal in places where you’re currently weak. I saw this first hand. Previously I couldn’t get more than an EDGE connection in my apartment, but after I flashed a new radio I consistently get three to four bars of HSPA. This is also nice in places like my gym, which is in a basement. The signal is just a bit stronger down there now that I’ve flashed a new radio. Ever get frustrated that your device runs too slowly? If you root you can overclock your device. There are definite disadvantages to this, including your phone running incredibly hot (which is not good for those who stow the phone in their pockets) and draining battery at an abnormal rate. But if you want the speed, the option is there. Conversely, if you think your phone runs just fine you can slow it down a bit in order to gain battery life. There are plenty of other root-only apps, too, including apps that allow you to take screen shots of your device. People have expressed love for apps such as QUick Boot, which allow quick restarts and reboots into recovery. The Market is absolutely rife with root-only apps. Check out a list in the market. These clearly aren’t the only benefits of rooting your phone. Each person will have different reasons. I love customizing things, and so play with Cyanogenmod’s options for hours on end. I also need to take screenshots from time to time, and this helps. Others will have different reasons. If you have any more, add them in the comments. Once this series finishes I’ll add the best ones to the main post. Google Person Finder: 2011 Christchurch Earthquake. Fable re-imagined as an 8-bit adventure game. Morning List: Top 10 Most Livable Cities. Sometimes it gets you eaten by a bear. Will you root your Android device? Before you can answer that question, you need to know a few things. This week we plan to examine some of finer aspects of rooting your Android and what it means for you and your device. We’ll keep this as simple as possible, which means as little geek-speak as possible. 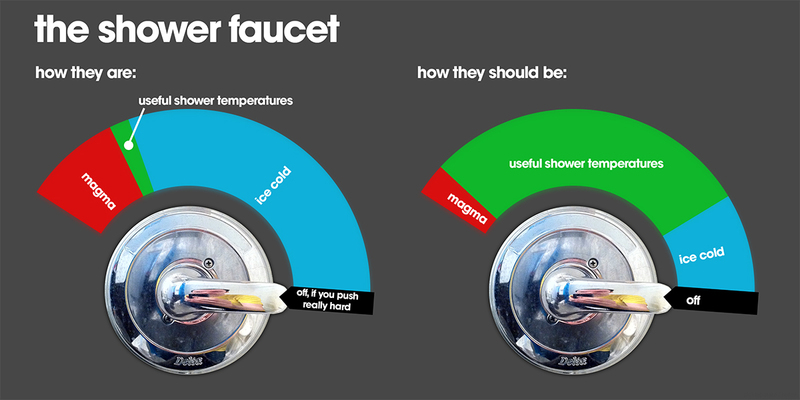 We want to make it easy to understand, above all else. Today’s topic: The pros and cons of rooting your Android device. Yesterday I provided the bare bones definition of rooting your Android device. Now that you have an idea of what rooting is, we can move onto the features and bugs of rooting. On Wednesday we’ll get to the specific cool stuff you can do, but today we’ll continue wading through the shallow end. It’s time to examine the pros and cons of rooting your device. Pro and con lists seem to work better in pairs. That is, if you read a whole list of pros and then a whole list of cons, I’m not sure you’ll come away any wiser than before. I’ll try to pair the pros and cons so you can see both sides of each issue. That way you can determine, on a case-by-case basis, whether rooting is right for you. much more with your phone. Con: It voids the warranty, meaning you’re out of luck if something goes wrong and you need a new phone. Pro: You can install different and more feature-rich versions of the Android OS. Con: Doing so can cause unanticipated problems. Pro: You can perform functions that you can’t without rooting, such as taking screen shots. Con: Same as the previous con. It’s tough to appreciate the added functions if your device is on the frtiz. Plus, how many people really have a use for screenshots? Pro: You can install custom operating systems that improve on many functions of Android. Con: You’ll no longer get the official OTA updates, meaning you have to keep on top of the latest releases and make sure your phone is up to date. Pro: You’ll have more control over your Android than you ever thought possible. Pro: You can overclock your device with kernels. The biggest con of all: You can actually brick your phone if something goes wrong during the rooting process. This is no laughing matter. There are ways you can screw up the rooting process that will require you to spend additional hours restoring it to normal. That’s not a huge deal. The huge deal is where you mess up to the point where your phone is no longer operable, and never will be again. This isn’t exactly common, and it would take a pretty massive screw-up. If you don’t feel comfortable playing around with computers, you might not wan to root the device yourself. It does involve a couple of involved processes, which will at some point require you to run functions through the Terminal on your PC or Mac. You might even have to download the Terminal Emulator for your Android and run functions through that. Again, if you’re not comfortable in these environments, I wouldn’t recommend moving forward with a root. If, however, you are comfortable and you can follow directions, I don’t think you’ll have a problem with the root process. If you have any additional pros and cons, leave them in the comments and I’ll update the post in a week or so with them. Another key source or revenue is advertising revenue. You know, the way that Google makes money. Android users are far more likely to click on advertisements than iPhone users. That is why many Android Apps are free while the iPhone app is $1+... like Angry Bird for example, which produces over $1 million a month from Android ad revenue. You read the headline “Android Market grows a staggering 861.5 per cent”, and you think, “Wow, Android is really on a tear.” But then you look at the fine print, and you realize that Android Market revenues are still barely registering, and that the only reason they grew so much in 2010 was because in 2009 they were nearly non-existent. According to a chart making the rounds from UK-based research firm IHS, Android Market revenues in 2010 came in at an estimated $102 million, up from $11 million the year before. And how did that compare to revenues from Apple’s App Store? Apple App Store revenues came in at an estimated $1.7 billion in 2010, almost 20 times bigger than Android. And Apple App Store revenue grew at a not-too-shabby 131.9 percent rate. More importantly, Apple accounts for 83 percent of the total estimated app store revenues. It’s great that Android app store revenues are growing so fast, but whenever you see such sky-high numbers, be sure to look at what is the base they are growing from. Android will have to keep growing at astounding rates for a few more years simply to catch up to where Apple’s App Store is today. If you are an app developer trying to make money, you still really don’t have much of a choice about where to put your apps. No wonder Apple feels like it can treat app developers any way it wants, and take an increasing percentage of their revenues. Then again, I’ll take magma over smegma any day. Android Root Week: What is rooting? Will you root your Android? Before you can begin to answer that question, you need to know a few things. This week we plan to examine some of the finer aspects of rooting your Android and what it means for your device. We’ll keep this as simple as possible, which means as little geeks-speak as possible. We want to make it as easy as possible for you to understand. Today’s topic: What is rooting? After purchasing an Android device, many, if not most, users will take to the internet and seek out the best available apps. When browsing around, the term “root” is sure to cross his or her path. It might sound like a mystery at first, but the idea behind rooting is rather simple. Once you go through the rooting process, which in many cases involves unlocking your phone and thereby voiding the warranty, you will have access to applications and processes not available to other Android users. This also includes custom operating systems, called ROMs. In this way, rooting is akin to gaining full control over your Android device. Once you have unlocked the phone and gained root access, you are free from the restrictions imposed by the stock Android operating system. This means the ability to install applications not available to locked users, and as well as the ability to perform certain functions. Those we will go over later this week. But first we had to make sure that you understand exactly what rooting is. More screens in my office!